Pens, like watches, can often be a status symbol rather than being used for the reason that they were made. 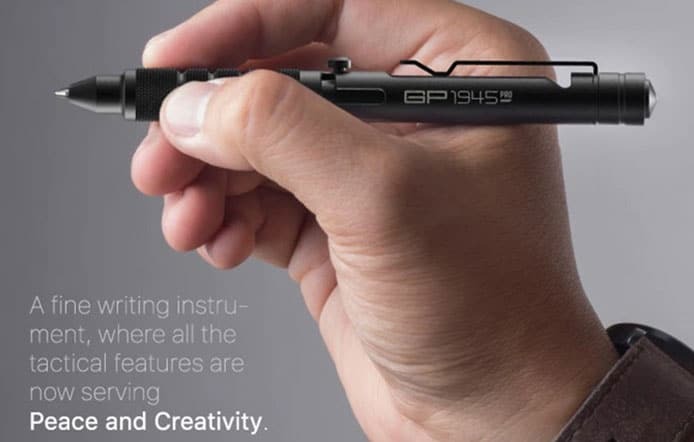 A lot of pens are there just for show but some are going to be a lot more practical, then there are others like the GP1945 Bolt Action Plus that might just save your life. How is it going to save your life? As well as being a brilliant pen in its own right, the clever device is also going to be able to be used as a whistle and also has a tungsten glass breaker on the top. This makes it perfect for everyday carry as you will use it time and time again while having peace of mind with those safety features. Not only does it have a high level of usability but it also has a great design too and is a very good looking pen. The name of the pen pays homage to the end of World War Two, and a part of that design does too with the bolt action that it has. 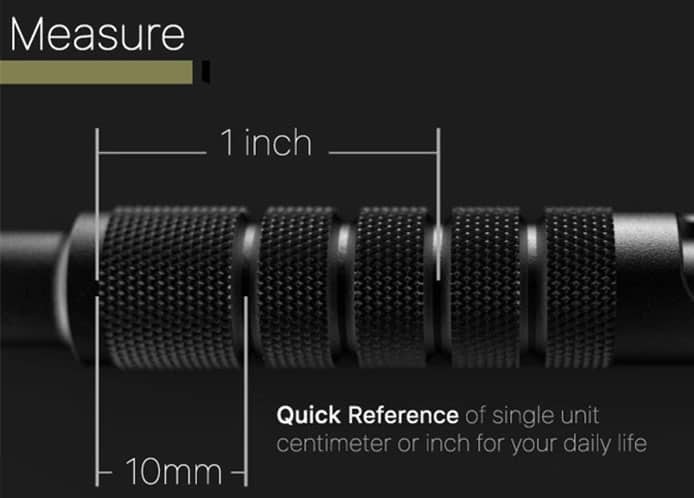 This pen has a number of different features that are able to set it apart from the competition. 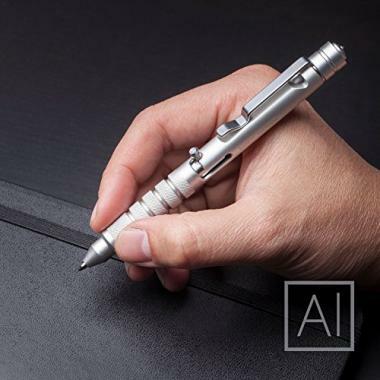 Even with all the extra aspects that it has, at its heart this is a pen that is going to be able to write smoothly at any time and is very easy to use. Beyond that, the extra features make a must-have item. It’s the kind of product that is going to make people very jealous and wish that they were the first to get one. Here we look at some of the key features that it has. Usability: One of the best and worst aspects of this pen is the bolt action that it has. It’s not just a gimmick, as it is the way you are going to get the pen to click in and out of the casing. This is great as it is a highly satisfying feeling, as if you are clearing a cartridge out of a gun. The bad aspect about this though is just how highly addictive it is. You will find yourself constantly clicking it in and out of place, possibly to the annoyance of everyone around you. 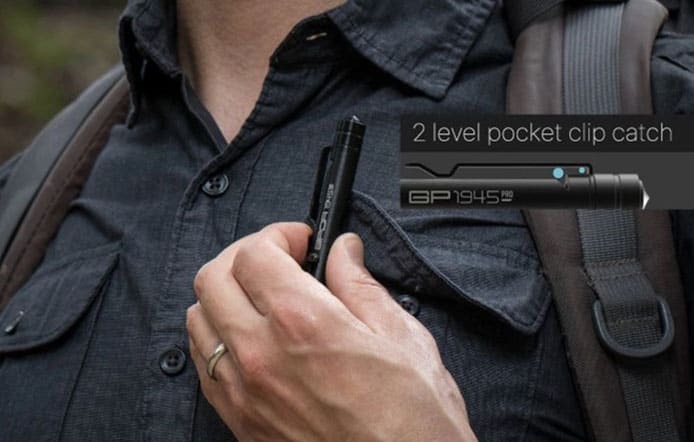 Aside from being a cool feature, it also gives you a secure lock on your pen too. The pen itself is high-quality and you will be able to use it every day and enjoy the smooth writing action that it gives. The durability that the pen has will also ensure that it doesn’t break and is going to be able to last you for many years. It’s also a pen that would go perfectly with a waterproof notebook. The grip of the pen is well-designed as the dialed surface will be able to give you a comfortable feel but does so while also giving you a very high level of grip. There is a hidden feature in there too as one inch and one centimeter markings are carefully hidden inside it. The life saver: While able to excel in its primary purpose of being a usable pen, there are also many other great features that are potentially going to save your life. The whistle and the glass breaker are both great ideas which could come in extremely useful. The glass breaker that is has comes in the form of a tungsten tip that is situated at the end of the pen. This is highly effective and comes in a wide push-away design to ensure that the glass is thrown away from your hand. This isn’t something you want to ever have to use but it will give you great peace of mind. The whistle is going to be able to make a very loud sound that will be able to alert someone if there is an emergency. You are actually also able to make multiple tones when blowing on the whistle too by sliding your fingers up and down it. 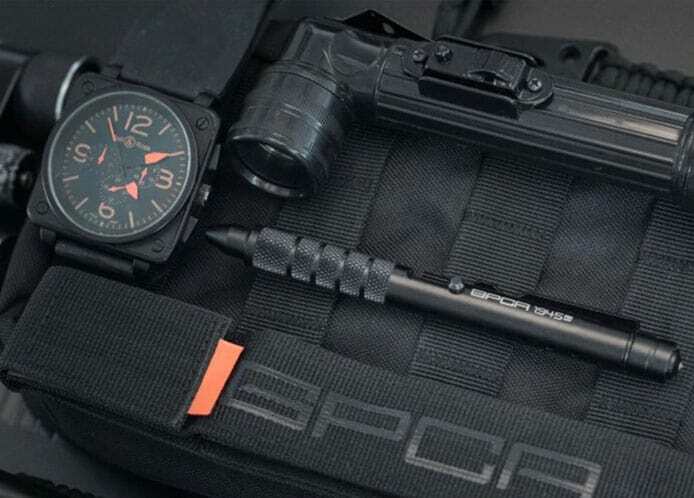 This is a great tactical product and would be perfect to be placed in your tactical backpack with other items such as a tactical flashlight. These features make it a brilliant product to have and it’s a good idea to have on in your office or work space, and another one permanently kept in your car or in your survival kit. You’ll always have use of a pen but now you’ll have a couple of key emergency items should disaster strike. This is a great product and one that should be able to turn a lot of heads as people wonder where you got it from. This is a lot more than just a party piece, however, and is a pen that could come in very valuable in the right situation. Here we look at the product rating in a few key areas. Price: 85% – If you’re simply looking for a pen that is able to write smoothly then the price of this pen might seem a bit steep. In judging the price though you need to take those other features into account and overall it makes for a product that is well worth the money. Material: 100% – It is easy for a pen to fall apart and stop working after a while but this is a product that is going to keep going for many years. Its titanium and aluminum unibody gives it a very high level of durability and it’s not going to break easily. Design: 95% – It would be hard for anyone to deny that this pen looks great. It is unique and all of the features add to a very impressive and very well-designed product. The bolt action is a brilliant design feature and one that looks and works brilliantly. Overall: 93% – Not many people want to think about what they will have to do if they are in emergency but it’s always a good idea to be prepared for the worst. This pen gives you great emergency features while allowing you to carry an everyday product for all your writing needs. If you asked someone to imagine what a pen, whistle and glass breaker combination would be, they would probably imagine something that is heavy, clunky and not at all practical. In reality, the result is something that is going to look elegant and stylish. This is a pen that you won’t regret buying as the least that you will be able to do is flaunt it to your colleagues and use it every day as a regular pen. If you need to use the other features then you are in a bad situation but at least you will have them available. Not often a product will be able to give you a practical everyday use in one minute and save your life in the next. The GP1945 Bolt Action Plus a great tactical pen that is going to be perfect to take on a wide variety of different jobs, trips and adventures. Pens, like watches, can often be a status symbol rather than being used for the reason that they were made.